If you are looking for top quality marine products from the big brands, Imagine Marine has what you need. We offer a wide range of leading brands to choose from that will provide you with the perfect product for your marine craft. When you contact Imagine Marine, you know you are going to receive great customer service from a reliable company. We have decades of experience working with some of the leading brands in the business. Add those quality parts to the reliable service you will receive and Imagine Marine becomes the place to go. 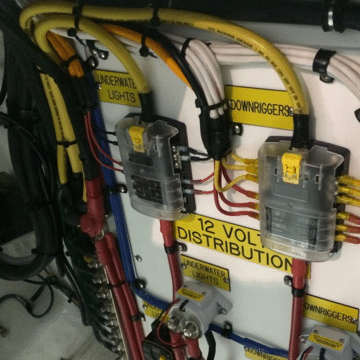 The products we use all have marine grade components and wiring. We have been in the electronics industry since 1985, bringing a wealth of experience to each job, large or small. Customer service has always been our #1 priority. We will work with you to answer all your questions and concerns to choose the best product for your needs. JL Audio creates quality sound experiences to improve your experience out on the water. Imagine Marine uses a wide variety of JL Audio marine equipment, including subwoofer drivers, speakers, amplifiers, source units, enclosed systems, and connection systems. JL Audio designs their sound to combat the low-frequency noise often generated when a boat is cruising through the water. JL Audio offers two types of speakers that we can use to customize your sound experience based on your current setup: The MX-series speakers function as high-performance replacements for standard boat sound systems. The M-series speakers, on the other hand, break the mold to deliver the best sound possible, making them ideal for total overhauls of your in-boat audio system. Available in classic shades, these speakers are sure to blend seamlessly into every boat. JL Audio offers different types of amplifiers, which allows you to choose a model that fits your boat size and specific sound requirements. Providing a range of options to get your playlist going out on the water, the JL Audio range of receivers allows you the flexibility to play tracks straight from your digital device. With each item designed with longevity and aesthetics in mind, this range of products is sure to boost your boats visual appeal. All JL Audio products can withstand the harshness of the sea. 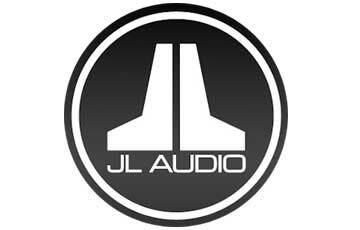 So, if you’re looking for products built to last, JL Audio offers highly competitive solutions. 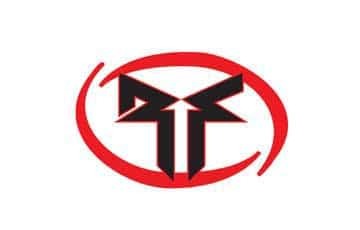 Rockford Fosgate Marine creates an impressive range of audio components for any sized boat, including amplifiers, speakers, subwoofers, and source units. Amplifiers boost sound at power ratings between 400 and 1,000 watts and are available in single-channel to five-channel configurations. Comes in two different color options, Classic white or Silver, you can choose which fits best to your boat interiors. Rockford Fosgate offers a wide range of speakers in either 6-inch, 6.5-inch, and 8-inch sizes. These come with the option to add on a tweeter system to round off your sound experience with clean, crisp high notes. The Rockford Fosgate subwoofer range gives you solid, weighty bass sounds when you're out on the waves. Available in classic white or black, these impressive units start at 8 inches and scale all the way up to a 12-inch, 4-Ohm sizes. Whether you want your receiver on display or hidden, the company's digital media options streams audio directly from your digital device. Radio options covering AM, FM, and wideband frequencies are also optional in some models, talk to us today to discover the media receiver that's right for you. 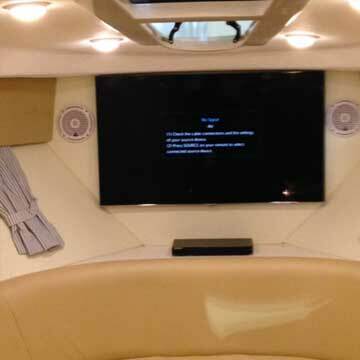 Imagine Marine can help you customize your boat with the Rockford Fosgate audio system of your choice. Talk to us today to discover the full range. Imagine Marine trusts the Kenwood Corporation’s expert range of marine electronics for all your boating audio needs. Whether you require a DIN CD receiver, media receiver, amplifier, speaker set, or some marine electronics accessories, this trusted brand has you covered. Kenwood’s DIN CD receivers and media receivers are easy to use, which reduces distraction on the water. With theft deterrent faceplates and multiple language options, Kenwood's receivers are a great choice for streaming wireless media out on the sea. With dual phone connectivity, you’re able to get the most out of your audio experience. 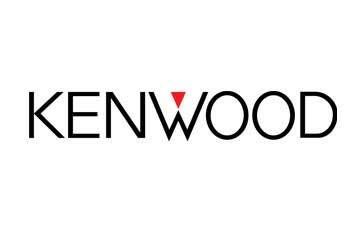 Kenwood offers a range of amplifiers in an array of power outputs to suit your audio requirements. Whether you’d prefer a 400-watt amplifier or a 1600-watt high-powered option, there is something to suit every music lover. If you’re not sure which amplifier would suit you, talk to us for expert guidance. Kenwood offers a range of water-resistant marine speakers in classic black and white. These sets compliment the aesthetics of your boat while making your music sound great. The company also provides a range of accessories, such as USB cables for iPhones, wired remote marine controls, and extension cables to help you get the most out of your electronics. Talk to us today to find out more about Kenwood’s marine electronics range. 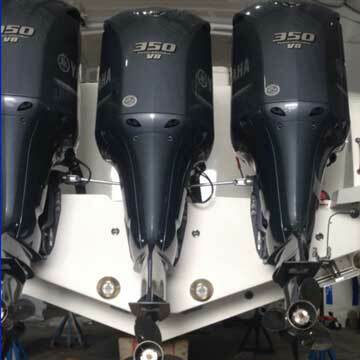 Here at Imagine Marine, we install and service Fusion Entertainment marine electronics to improve your marine, lifestyle, and watersports experience. Our expertise with the brand covers a wide range of premium stereo units, speakers, subwoofers, amplifiers, wired remotes, and marine entertainment systems. 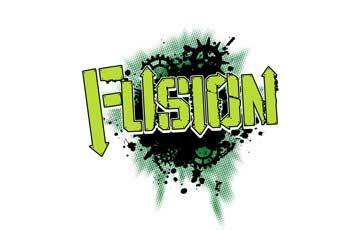 Fusion’s wide range of products is sure to please any music lover. With the same attention to detail that they put into their car audio, Fusion also offers great-looking, high-performance gear for marine applications to provide a superior experience. The company also packs many cutting-edge features into their equipment, including digital signal processing, sleek touchscreen glass displays, and support for multiple audio zones. The Fusion Stereo Active is an award-winning marine stereo built to withstand the harsh conditions of the sea. All of Fusion’s marine entertainment systems come with built-in Wi-Fi or Bluetooth for wireless connectivity. These connectivity options allow you to stream your choice of music directly to your boats speakers without the need for messy cables and unwieldy, off-mismatched connectors. With such a wide range of products, Fusion Entertainment offers boundless possibilities for customizing and optimizing your boats audio performance. Talk to us today to discover how we can create a superior marine sound system for you with Fusion products. 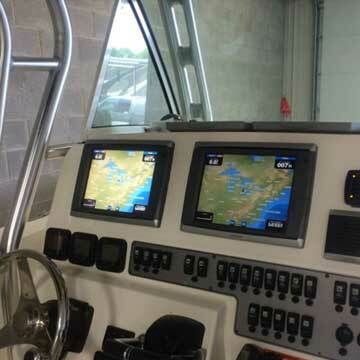 KVH Industries has gained renown for creating innovative commercial and personal marine systems. The company's offerings include RV systems, satellite TV services, navigation systems, and compass sensors. When it comes to personal boating, the award-winning TracVision satellite TV can boost your onboard TV-viewing experience to new heights. This product allows you to watch your favorite show regardless of where you choose to fish, cruise, or dock. With KVH Industries Mobile Communications, you get the confidence of having quick and affordable broadband service out at sea. This system gives you access to high-speed internet and crystal-clear phone communications regardless of where you are. The commercial-grade products offered by KVH include satellite communications and network management.Fiber optic gyros, inertial navigation systems, and compass sensors, on the other hand, keep your commercial vessel on track. 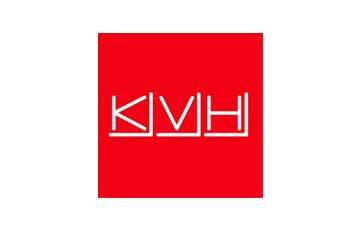 KVH creates each product to last and equips them with the latest technologies. At Imagine Marine, we offer quality KVH products and parts to meet your every boating need. Regardless of your need, our team here at Imagine Marine is on hand to help you select the KVH product that fills your requirements. If you have questions or want KVH installed give us a call. 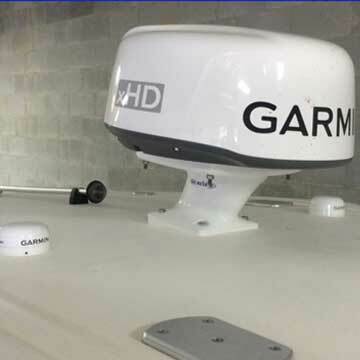 Garmin is a trusted name in marine systems, and the company has solutions for almost every boating need. Whether you have a new boat or you want to upgrade your existing electronics, Garmin offers reliable products and well-designed components. Garmin's marine navigation offerings include chartplotters, radar, autopilots, and instruments. Renowned for their accuracy, these systems help keep you on course to your destination of choice. The company also offers VHF marine radio systems, antennas, and automatic identification systems to keep you aware of and in communication with the traffic you meet along the way. Garmin is also an excellent source for the equipment you need to stay aware of your underwater surroundings. Fishfinders and sonar transducers fills its repertoire of products designed to keep you up-to-date with what's going on under the waves. For even more fidelity when imaging underwater environments, Garmin's Panoptix sonar technology lets you see everything going on underwater around your boat in 3D and in real time. 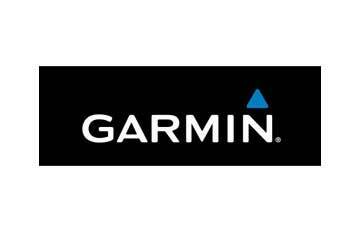 Garmin also provides more diversity with their products by allowing you to access them from your phone. This is called ActiveCaptain, see below for more details. The ActiveCaptain app adds functionality to your equipment, such the ability to push phone notifications to compatible Garmin displays. ActiveCaptain provides near real-time information for your destination. Some of its features include the ability to view and control your chartplotter from your smartphone or tablet from wherever you are on your boat. You get the benefits of fellow boater feedback on marinas, hazards, and other information through the app. The ActiveCaptain app is compatible with many Garmin chartplotters and MFDs including several versions of ECHOMAP Plus, STRIKER Plus, and GPSMAP. 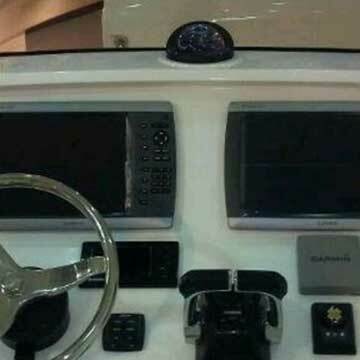 Imagine Marine can help you identify Garmin products that fit your needs. Talk to us today to discover how Garmin equipment can help you enjoy fun and safe adventures out on the water. 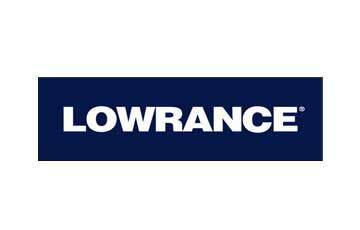 With over fifty years of experience creating quality marine technology, Lowrance Electronics offers a wide variety of fishfinders and chartplotters. The companies offerings suit fishermen of every skill level, from casual line casters to top tournament anglers. Lowrance Electronics provides fishfinders for every sort of pleasure craft. For smaller watercraft, HOOK fishfinders offers an affordable, user-friendly experience that clearly shows fish populations and ocean floor contours on a high-resolution LED screen. With its quality color display, you’re able to find the fish every single time. With the HOOK2, the team at Lowrance Electronics have combined the best features of premium-priced devices all in a small and affordable package. This fishfinder and chartplotters starts at a low price, making high tech affordable for all budget sizes. If you’re looking for high-end features, the Elite Ti Series combines touchscreen units with CHIRP sonar and GPS navigation. This series allows you to plan and log trips and even save special locations. For tournament-level anglers, you can’t go wrong with the HDS Gen3 Series, which combines every fish finder feature you could ever want on a large-sized touch screen. HDS Gen3 Series fish finders allow you to see targets in every weather conditions. If you're serious about leveling up your fishing game, Imagine Marine has you covered. Talk to us about the Lowrance Electronics today. 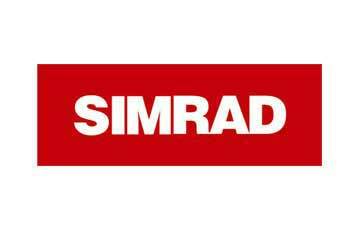 Boaters trust Simrad products for being state of the art and long-lasting. With Simrad Yachting’s excellent range of autopilots, radars, sonars, and combination fishfinders and chartplotters, you can get more out of your time on the water. Simrad's autopilots are available in custom or preset options. The company's autopilots suit every boat size and allow you to leave your helm unmanned with confidence. Simrad radars give you a clear view of the ocean environment. Radar options are available in either dome or array configurations. The Simrad standard fishfinder allows you to see all the fish in your area on a 9-inch color display. Combination fishfinder and chartplotter devices come in sizes to suit every budget, from basic options to premium offerings. Whether you want a GPS, sounder, Wi-Fi, or HDMI output, we can recommend a device to suit your needs. With the StructureScan 3D, you receive high-resolution three-dimensional views of the world below your boat. At Imagine Marine, we install quality Simrad Yachting marine electronics that enhance every boating experience. We pride ourselves in fitting, servicing, and providing advice to get the right gear in your boat today. Talk to use about how we can incorporate a Simrad product into your existing setup. Raymarine is a leader in the recreational boating and light fishing industries, creating innovative and long-lasting options for every boating requirement. 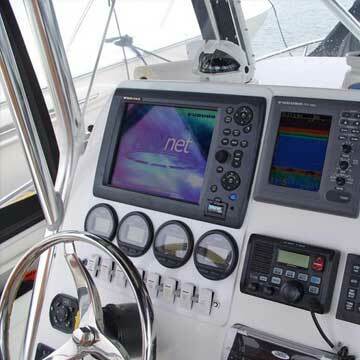 The company creates a wide range of multifunction displays, autopilots, marine radar, fishfinders, instruments, thermal cameras, VHF communications, and more. 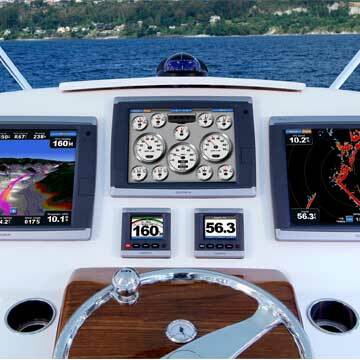 The Raymarine Dragonfly range offers combination sonar, GPS, chartplotter, and downvision displays. This system brings together the best of new technology into one easy-to-use product. If you’re looking for marine cameras, options are available for day and night, as well as interior and exterior vision. You can choose between IP and analog output options and select fittings to suit the look of your boat. In addition, Raymarine offers a range of wireless instruments that allow you to access quality data without installing wires into your hull or down your mast. Instrument options are available for general fishing, cruising, and even racing talk to us to discover the right device for you. 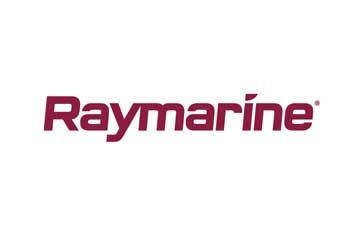 Raymarine products are offered in a wide range of sizes, allowing you to choose the right size to fit your craft. If you’re not sure which size you need, simply ask us, and we will be happy to help. 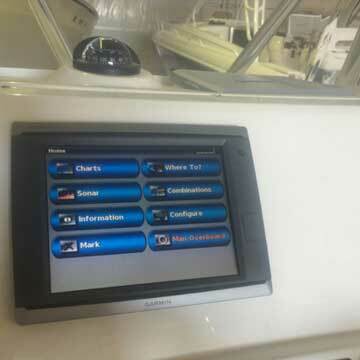 Imagine Marine uses a wide range of Raymarine options. Whether you’re interested in fishing, sailing, commercial boating, or cruising, we can set you up with a system that suits you. Humminbird provides sleek and feature-rich solutions for fishfinding and mapping out on the water. Using state-of-the-art technologies, the company gives boaters unique views into the ocean environment with support for features such as MEGA and 360 imaging. To visualize fish and underwater objects in stunning detail, Humminbird uses MEGA Imaging technology to improve the visual acuity of side-scan sonar. Using three times the frequency of comparable technologies, MEGA Imaging allows you to see the underwater world with levels of detail that reveal even tiny objects. If seeing underwater all around your boat is your major concern, then Humminbird's 360-imaging solutions are for you. Capable of imaging up to 150 feet all around your boat, 360 imaging lets you locate fish and identify underwater hazards in a full circle, so you won't miss anything around you. When you locate something that interests you, you can also limit the sweep range to increase the refresh rate and get up-to-date information of that specific location. Aside from fishfinders and mapping units, Humminbird also provides accessories, such as cables, transducers, mounts, and cases compatible with their products. If you'd like to know more about how Humminbird might work for you, get in contact with our skilled technicians at Imagine Marine today. At Imagine Marine, we trust Icom for all our marine radio requirements. Whether you require a handheld, mounted VHF, single-side band, or navigation radio, you can trust that the Icom brand has what you need. Icom provides a wide range of handheld VHF marine transceivers that provide excellent radio communications. These handheld devices are USB chargeable, water resistant, and float on water. For VHF fixed-mount radios, Icom offers some of the most reliable units in the industry. These compact-looking radio devices have large LCD screens that are user-friendly and watertight. One standout offering is the CommandMicII, which is a complete remote-controllable option to complement a fixed-mount radio system. 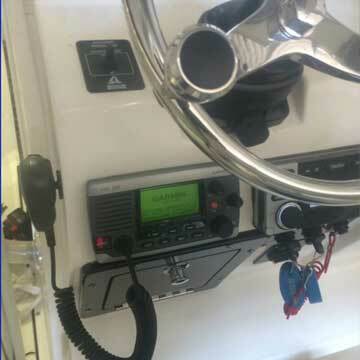 With this handy device, you can access your radio regardless of whether you are on or off your boat. 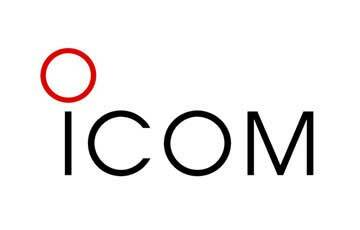 Icom also supplies recreational single-side band radios. This option provides a wide range of safety options including one-touch emergency notification, the ability to send digital messages when the radio is down, and an optional GPS. Icom also provides a class-B automatic identification system transponder for recreational boaters. This allows your boat to be visible in an emergency and is a great investment for the safety of your family, crew, and vessel. Contact Imagine Marine today to learn more about how we can use Icom to improve your marine communications. Lumitec Lighting offers a wide range of marine lighting products, including underwater lights, courtesy lights, accent lights, dome lights, and down lights. The company also produces flood lights, spreader lights, compartment lights, and utility lights. 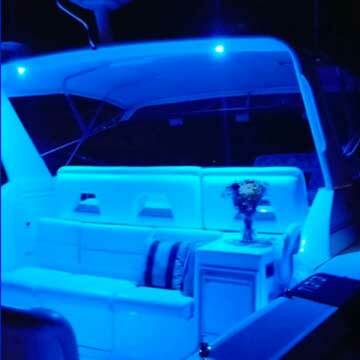 Underwater lights are great for brightening up the underside of your boat. These lights help you target fish, provide a great night swimming experience, and make your wake look more attractive. The Lumitec range runs cool, providing greater energy efficiency than other brands. Courtesy and accent lighting suit spaces where you need visibility, so they’re great for illuminating walkways and cockpits. If you’re looking for added style, consider adding dome or down lights to your boats interior or exterior. With a wide range of modern finishes to choose from, your boat will be better equipped for nighttime activity. Lumitec Lighting also provides an extensive range of over 20 flood lights and spreader lights, so you’ll be sure to find the option that’s right for you. Here at Imagine Marine, we install and service Lumitec Lighting for both above-water and underwater applications. Whether you’re looking for the perfect lighting system, require advice on which option best suits your vessel, or need assistance with a broken component, our expert team is ready to assist. 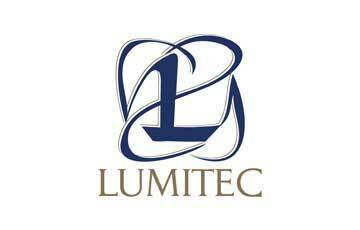 Talk to us today to discover how Lumitec Lighting can enhance your craft. OceanLED is the brand of choice for boaters looking for exceptional underwater and above-water lighting displays. Whether you want LEDs for a superyacht, leisure boat, fishing vessel, or dock, OceanLED has you covered. The OceanLED underwater range covers a wide array of lights and lighting options. Some of the features the company include advanced optics, full RGBW multi-color options, wide-angled beams, strobing effects, and other fun elements. These options are made with either brass or chemically resistant optical polymer for longer-lasting performance. OceanLED also sells an underwater camera, which gives you a peek into the sea life attracted to your boat by your lights. 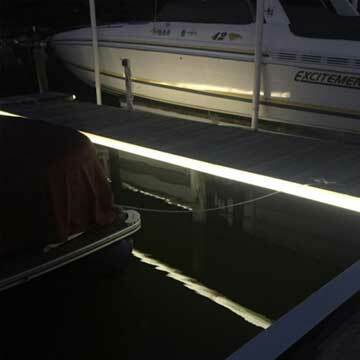 Above-water LEDs feature narrow beams that enhance the beauty of your boat. These lights use the same materials as OceanLED's underwater to give you great performance and longevity. OceanLED lets you control your lighting a freely downloadable mobile app. With the app, you can change the color and pulsing of the lights. You can even sync the light to your music. We offer service and installation of a wide range of OceanLED products, including underwater LEDs, above water LEDs, controllers, and other lighting accessories. All LED installations are fully customizable. If you have your eye set on a specific color combination, we can install it for you. 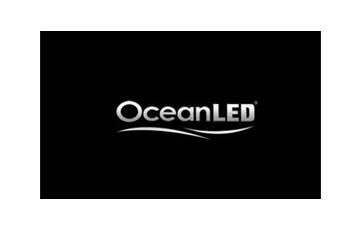 For further information about the full OceanLED range, contact us today. 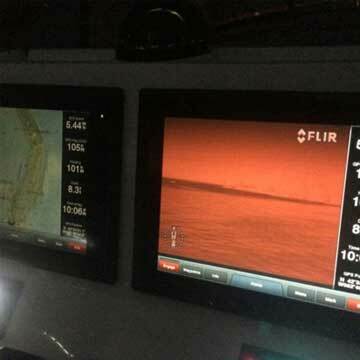 Imagine Marine trusts FLIR for our marine camera needs. FLIR Systems provides a comprehensive range of boating options, including fixed mount thermal cameras, handheld thermal cameras, and monitoring systems. FLIR has a range of 12 fixed-mount thermal cameras, each perfect for commercial boating, recreational vessels of every size, and yachts. This series helps you navigate at night with the help of thermal heat detection, ensuring you can actively avoid obstacles out on the water. Depending on your selection, you can view your video logs past and in real time on virtually any mobile device. Handheld thermal cameras are a great option if you think you’d prefer a camera you can move around as required. Options include bi-ocular-style vision or a simpler style that uses only one eye. These handheld thermal cameras even work in the daytime, helping you see through fog, haze, and bright sunlight. FLIR also provides a thermal monitoring system that gives you early warnings when your engine is about to overheat, which should prevent breakdowns before they occur. Regardless of your requirements, we are sure this innovative range of heat-detecting cameras can provide you with safety and security whether you’re on the dock or out on the water. 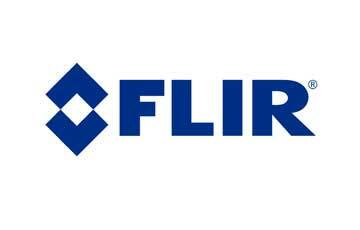 Talk to us today to discover how FLIR can transform your night time boating experience.